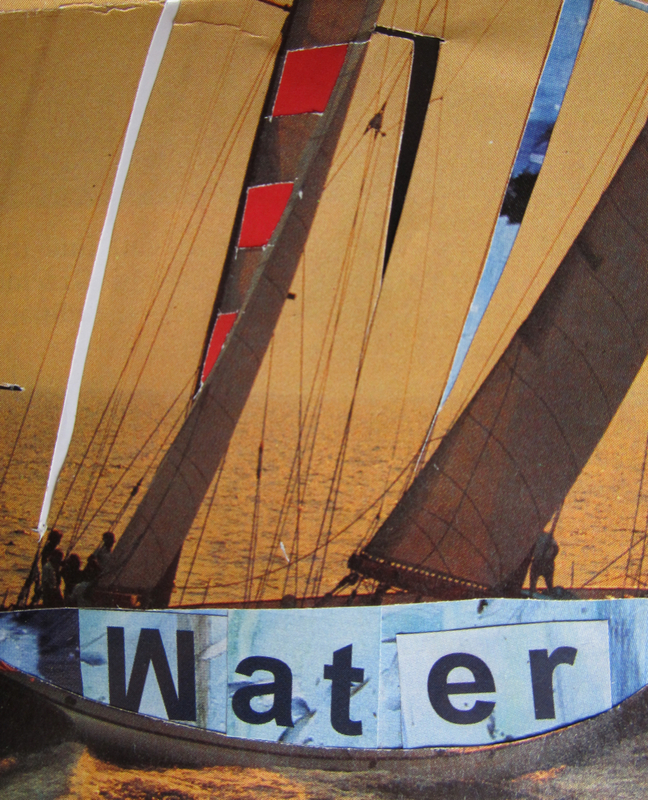 For this piece, I’ve filled in a boat with the word “Water” floating in blue. And look, that W is not a W at all. It is an upside-down M! Wow, mom. This is how we never allow the material to dictate our outcomes. That is not a metaphor for anything. Although, Water from Mater does seem like a metaphor: Water — Mater — mother — materfamilias — another affair with water. More to the point, this image begins a new series within the series. I’m going to be honest with you: I don’t know where this is going yet. But everything about this image feels exactly right. Let’s see where it takes us… next Wednesday. *Want to know a secret? I began doing this stained glass thing way back in 1993 or so: high-school; some Christmas art contest; I remember a friend was happy I'd won; $50! ; McDonald's; angels with trumpets.